Providing you the best range of uv dryer conveyor belt, ir dryer conveyor belt and dryer conveyor belt with effective & timely delivery. 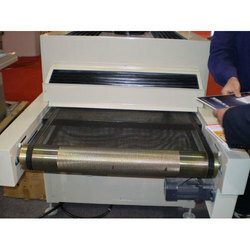 To meet the demands of clients as a manufacturer, we are engrossed in offering our clients with UV Dryer Conveyor Belt. With the help of modern machinery and technology, we are manufacturing these belts that are installed in our production unit. 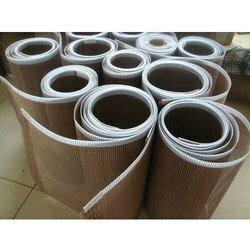 Prior to dispatch, these belts are packed properly in high-grade packing material to avoid damage. Understanding the demands of clients as a manufacturer, we are engaged in offering our customers with IR Dryer Conveyor Belt. Under the supervision of experienced professionals who are well-versed in this domain, we manufacture our entire rang to leave no scope for defects. Post-production, these belts are rigorously checked by quality inspectors to ensure flawlessness. 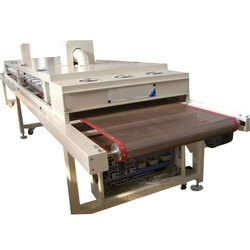 We are one of the prominent organizations, indulge in manufacturing Dryer Conveyor Belt. Our Dryer Conveyor Belts are fitted with a high-grade motor that offers great speed control.